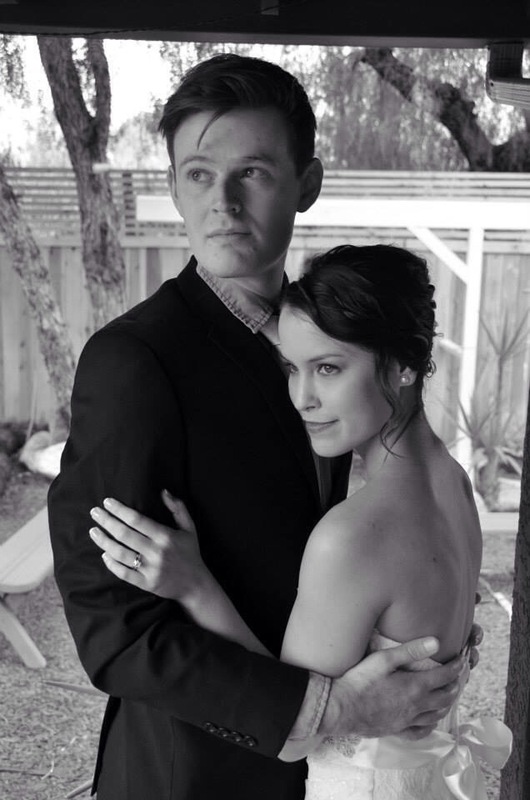 Today marks the one month anniversary that I have been a married woman! Time truly does fly when you’re having fun. It’s hard to believe that exactly one month ago, I was getting my hair done and anxiously awaiting the moment that I could marry my best friend. Vows were spoken, rings were exchanged, and it was all sealed with a kiss. This past month has been a wonderful blessing, but it hasn’t come without it’s challenges. As a young woman, I still find myself getting insecure and dealing with the lies this world tells us about marriage. I have been experiencing some health difficulties, and some days have been filled with frustration, discouragement, and pure confusion. I realize, though, that sometimes I am simply forgetting what the mission of my marriage truly is. If God designed me and my husband in His image, with intricate and delicate detail, what did He design us for? Not only us, but marriage was God’s idea. While I may get hung up sometimes on what it means to be the “perfect wife”, how I fall short, and how I get misfocused, I have to think that if God trusted me enough to be married to the most incredible man on the planet, surely His purpose for my marriage isn’t just clean laundry, cooked meals, a perfect body, or doing the dishes. God’s purpose for my marriage is to reveal His love to the world. I want my marriage to be a picture of God’s unfailing love and grace. I want others to look at our marriage and see God’s amazing, unconditional love. Through our struggles, flaws, and authenticity, Jesus can shine. 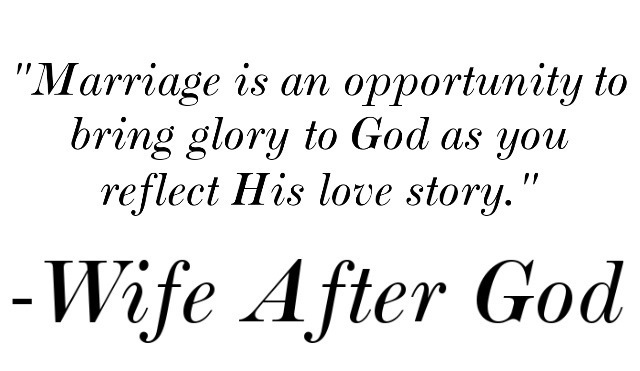 Knowing that my marriage reflects God’s love story changes everything. It changes how I interact with my husband, who I want to be, the kind of wife I want to be for him, and why we are married in the first place. It makes our marriage so valuable and so purpose-filled. I’m one month in, and I have a long way to go (and a lot to learn), but even in these early stages, my hope is that this marriage will use our love story to point to the greatest love story ever told. awesome!! the newly married and the wonderful optimistic and happiness..may you have that 20 years or more down the road.